Here are five names to have at your fingertips about the fifth World Cup, hosted by Switzerland and won by West Germany. Television. 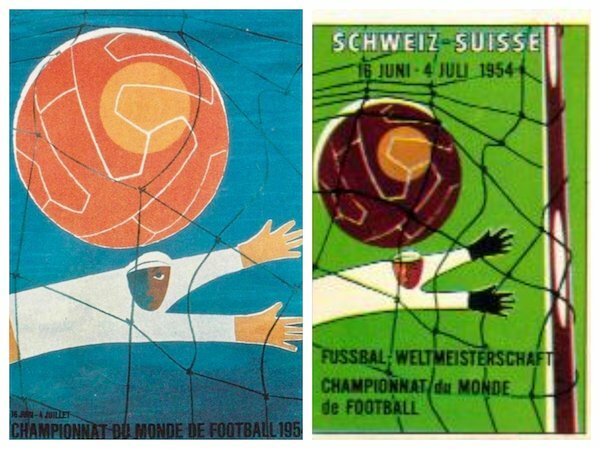 The fifth World Cup, hosted by Switzerland so FIFA could celebrate its 50th anniversary in its headquarter nation, was the first to be televised. The European Broadcast Union, which had to pay no rights fees, broadcast nine games live to neighboring countries. Hong Duk-Yung. Three teams entered the World Cup from Asia, and South Korea beat Japan in the first Asian qualifying match ever held to advance to the finals. The third entrant, the Republic of China (Taiwan), withdrew. South Korean goalkeeper Hong Duk-Yung gave up 16 goals in losses to Hungary and Turkey. Goals galore was the norm throughout the tournament, which remains, with a 5.38 per game average, the highest-scoring World Cup in history. Magic Magyars. Hungary brought a 28-game undefeated streak with it that included 6-3 and 7-1 wins over England. Led by Ferenc “The Galloping Major” Puskas and Sandor “Golden Head” Kocsis, the Magic Magyars beat West Germany, 8-3, in their second game. But German coach Sepp Herberger, who had figured Hungary its most likely opponent in the final, had fielded six reserves to hide his first team. The plot paid off as West Germany, back in World Cup action after having been banned in 1950, reached the final with wins over Turkey (7-2), Yugoslavia (2-0) and Austria (6-1). Hungary had a more rigorous route to the final, surviving a 4-2 quarterfinal win over Brazil – known as the Battle of Bern because of brutal tackling, three ejections and a locker room tunnel melee -- and a 4-2 overtime win over defending champ Uruguay. Adi Dassler. The Germans were delighted that a rainstorm had soaked the Wankdorf Stadium field on July 4, 1954. “Fritz Walter Weather” is what they called the conditions because its captain, who had a bout with malaria while a World War II POW, was known to struggle in the heat. Plus, the Germans sported light-weight shoes with interchangeable screw-in studs designed by adidas founder Adi Dassler. The Miracle of Bern. Puskas had been sidelined since kicked by Werner Liebrich in Hungary’s first game against the Germans and entered the final in suspect form. Nevertheless, Puskas scored in the 6th minute and Kocsis made it 2-0 in the 8th. But the robust Germans narrowed the deficit two minutes later with a Max Morlock goal and Helmut Rahn equalized in the 18th minute. In the second half, Hungary hit the crossbar, had a shot cleared from the goal line and forced two great saves from Toni Turek, prompting German radio announcer Herbert Zimmermann to famously shout, “Toni, you're a soccer god." Two minutes from time, Rahn hammered home for a 3-2 win, a victory that has been described as the rebirth of post-war West Germany.